You've probably noticed that over the past few months my blog has featured less and less beauty posts, despite that being the kind of blog that I started with over 5 years ago now. 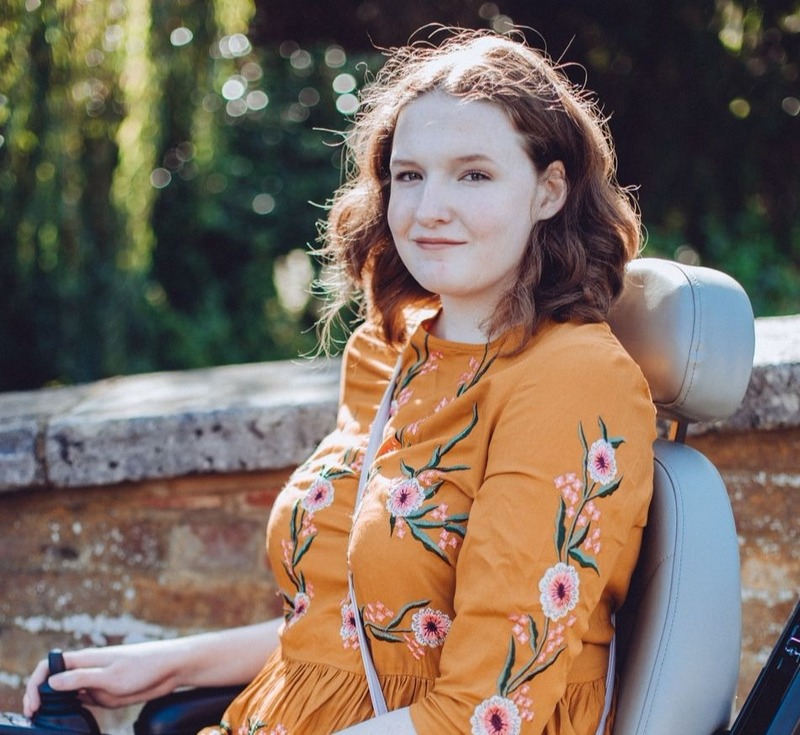 I've really been enjoying talking about disability and Marfan Syndrome more but I've definitely been neglecting that side of my blog and I want to introduce more regular beauty features. So, I decided that this was probably a good excuse to try out some new beauty products! 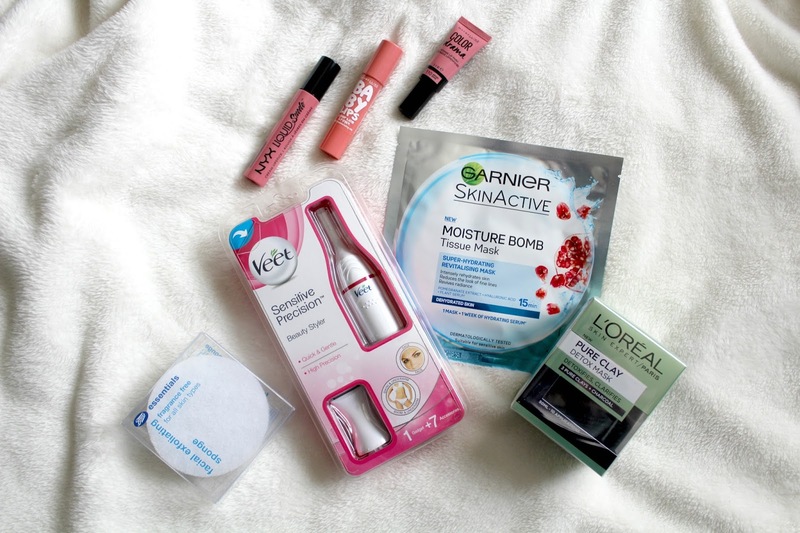 I made a little Boots order a couple of weeks back so I thought I'd share with you what I bought, with the aim being that I'll hopefully find time to review these products on here soon! When I bought this it was on offer for £15 so I thought I'd give it a go, mainly as I do my own eyebrows (never had them done professionally) so it seemed like a good little gadget to help me do that! You can use it on your face, underarms and bikini line so all the sensitive parts of your body really, I've not given it a proper go yet but I really like the look of it. 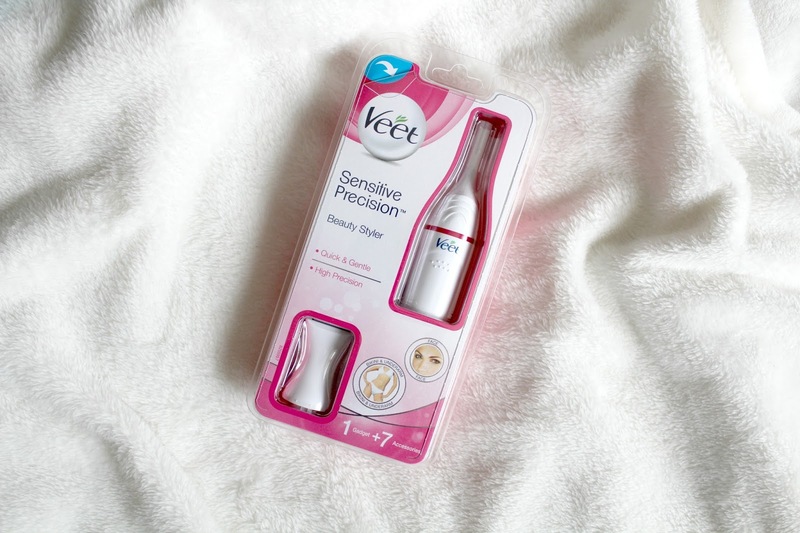 It comes with a few attachments that are for different parts of the body and I think it's really going to help me get a cleaner line to my eyebrows, plucking them doesn't really achieve that. Next up is a tissue mask that caught my eye in Superdrug, it was on offer for a £1 when I bought and I think Boots have it on offer right now too. I've really been into face masks recently but I've not used a tissue mask in a couple of years, since they first became 'trendy'. I've heard some really good things about it recently but again I've not got around to trying it yet but I might plan a little pamper night for sometime this week, I could do with a relaxing night! Time for another face mask! This is one that I've really wanted to try since it came out but every time I've gone to buy it I've found that it's been sold out! The Detox mask certainly does seem to be the most popular out of the 3, the only one I haven't got now is the Purity mask. When I bought this I also saw that L'Oreal have now brought out face wash versions of the masks that I can't wait to try out, it just so happens that I need a new face wash! Have you tried the face washes yet? This is something that I stumbled upon when browsing some of Boots own products and I thought I'd give it a go! I managed to pick up 3 for £3 thanks to an offer and I've been really enjoying using them, they are surprisingly quite gentle. I have quite dry and flaky skin so I find myself having to exfoliate quite often so something that isn't harsh like this is exactly what I need so I'm very happy with my little find! Finally it is on to the lip products! 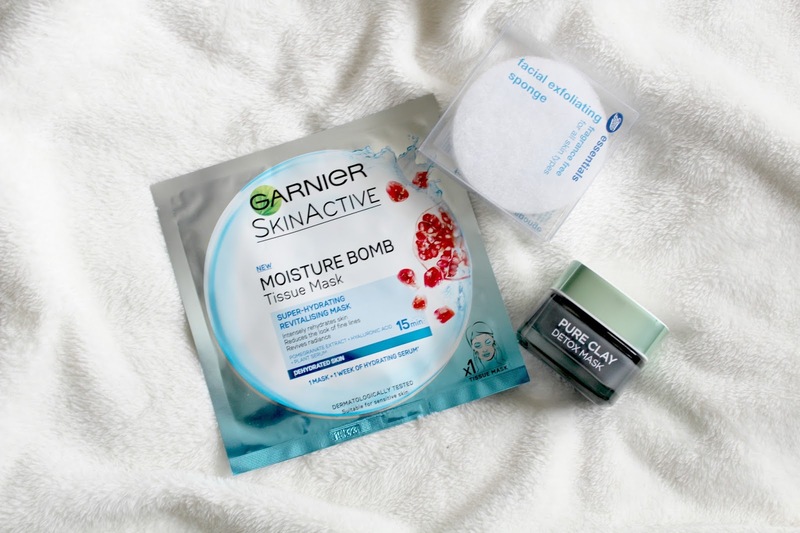 I really wanted to try a few new things as I'm getting quite bored with my current lip colour and products choices, a browse through the new section on the Boots website soon gave me some choices though. 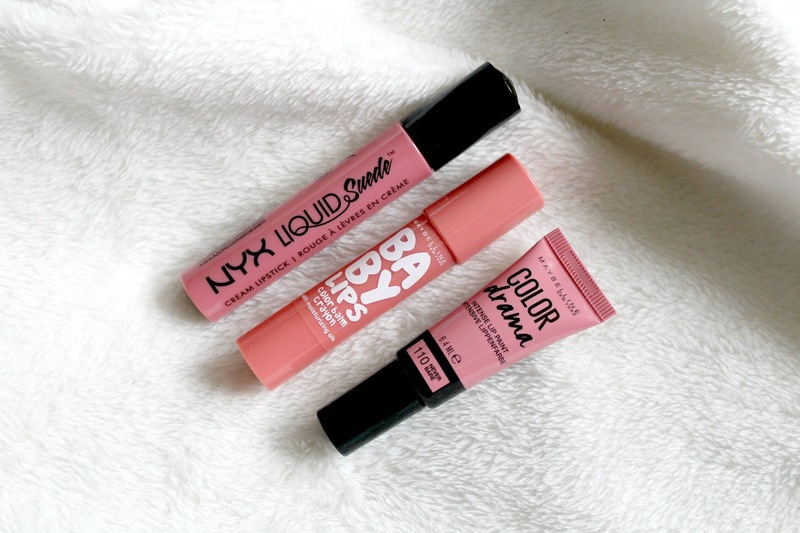 I'm already a big fan of NYX lip products because they are affordable yet such good quality so I didn't hesitate in buying one of these liquid lipsticks in a cute muted pink shade. It's a little darker than I'm used to but I'm trying to challenge myself and go out of my comfort zone, at the end of the day people already stare at me in the streets anyway because of my powerchair! I remember when the Baby Lips lip balms came out for the first time and the excitement around them and now the range seems to have exploded a little and we have crayons now amongst other different products. I loved the lip balms back then and still love them now so I thought I'd give the new crayons a go to see how they compared. The colour names are a little confusing though because on the website there isn't a 'creamy caramel' option but that's what it says on the product! Confusion aside though my first impressions are good, I found that it's really moisturising like the lip balms but there is slightly more pigmentation so the 2 products aren't identical! I think it's going to take me a while to decide exactly what I think of this addition to the range though. Finally I have another new lip product that caught my eye to show you, and it's Maybelline again too. It was mainly the price that attracted me to this product as I thought at £4.99 it was a bit of a bargain product. I've not tried this yet, or even swatched it, as it has a sponge applicator and I haven't taken photos yet but I think if I do like this then it's something I'm going to be raving about a lot! Did you buy any new beauty products in February? Do any of these take your fancy?